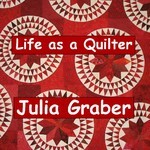 This week I will start quilting a wall quilt. 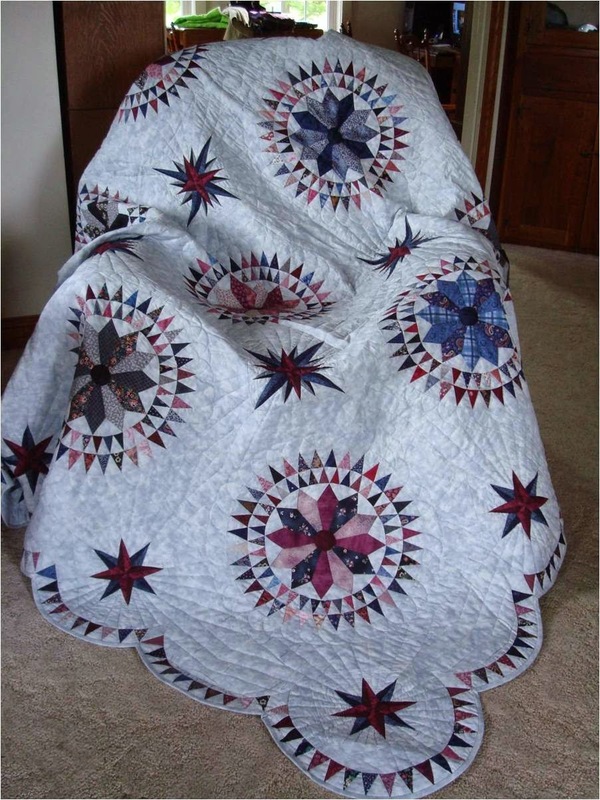 Does anyone have a name for the quilt? 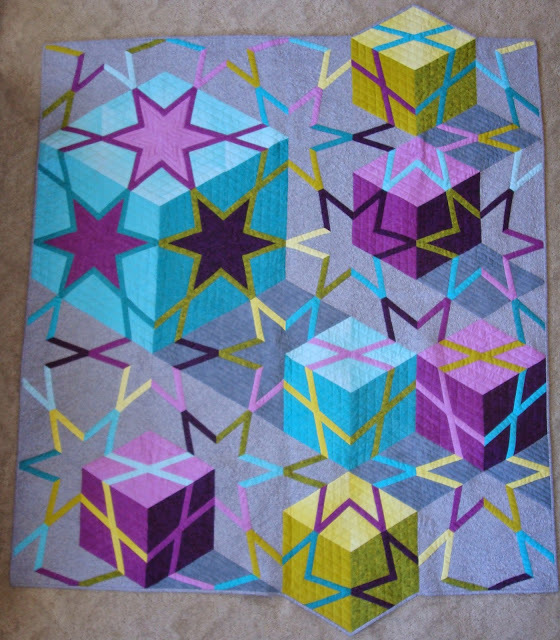 The triangle block which is used in the above quilt is the same block used in "Surprise Package". 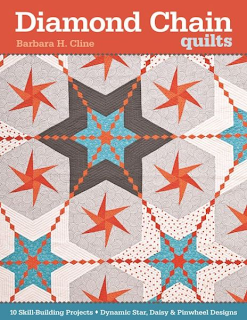 This quilt will be in my new book Amazingly Simple Triangle Stars which will be released in August. 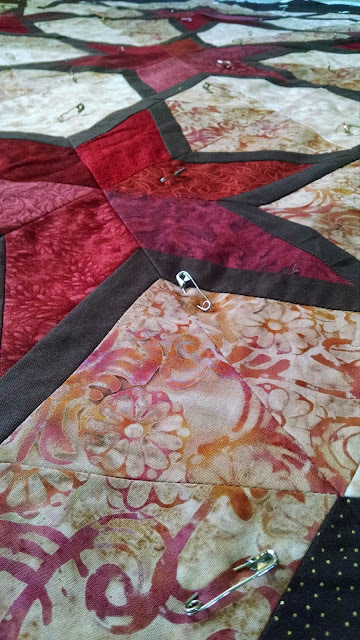 The quilt is safety pinned and ready to machine quilt. This weekend I went to North Carolina and Tennessee to teach and lecture. 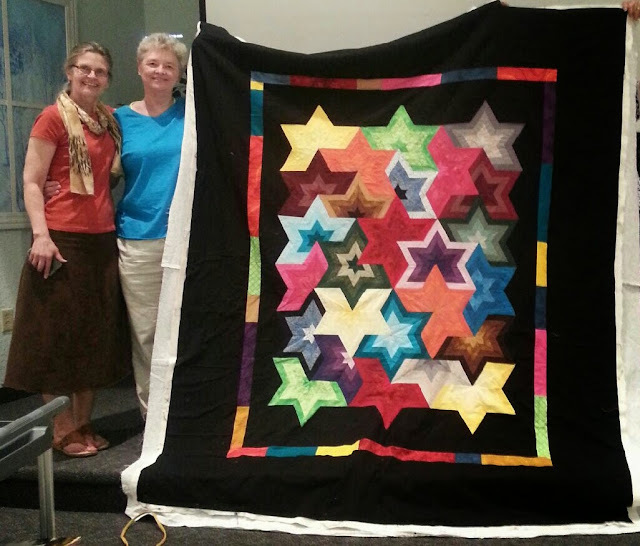 I was thrilled to meet two ladies in different states that made my Star Shuffle quilt pattern. This is Mary. 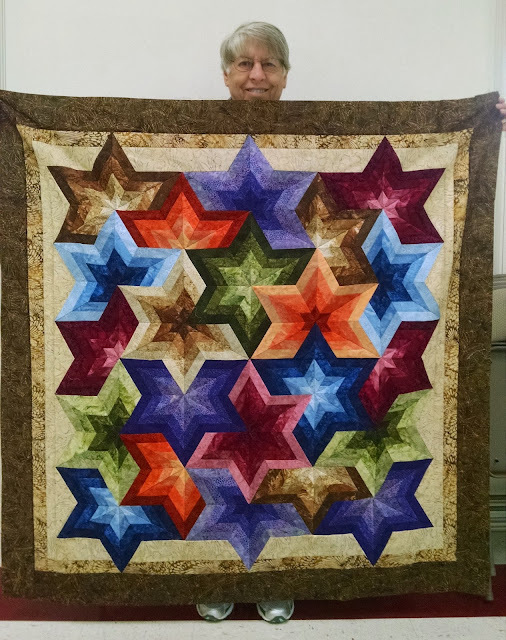 This is Lucy with her Star Shuffle quilt. purchased at a local auction. with only one ring of triangles. My rendition of Farmer's Delight. 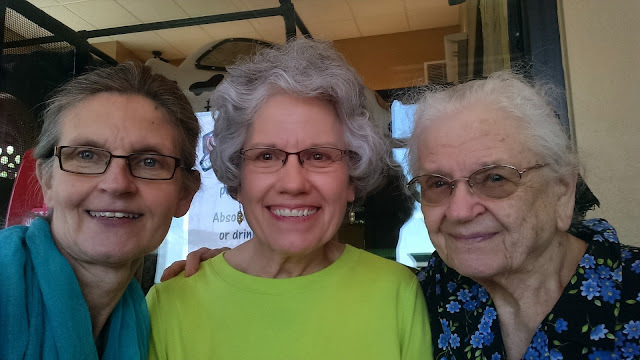 Mother and I were ordering our food at Chick-fil-A when we ran into Deb, a friend of mine, from Patchwork Plus. We invited her to join us for lunch. Thanks Deb for a wonderful visit. Here is my mother with her cousin Shelly and his wife Evie. 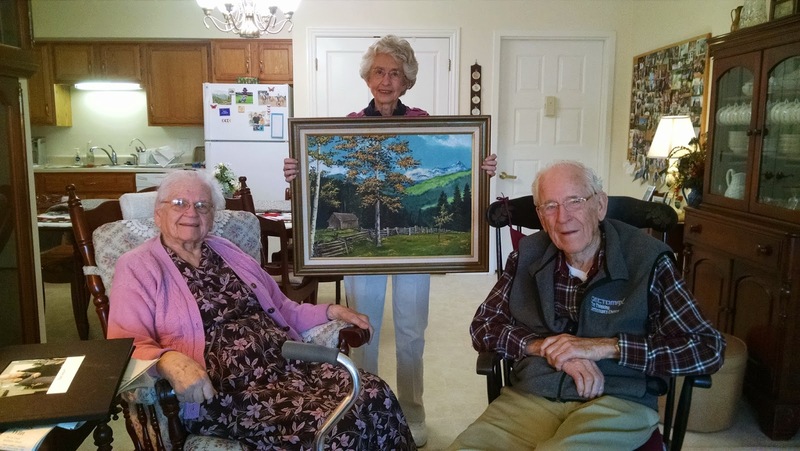 The picture is a oil painting mother painted for them years ago. Listening to them reminisce was so interesting and entertaining. Patchwork Plus had for Autumn. She was so surprised. 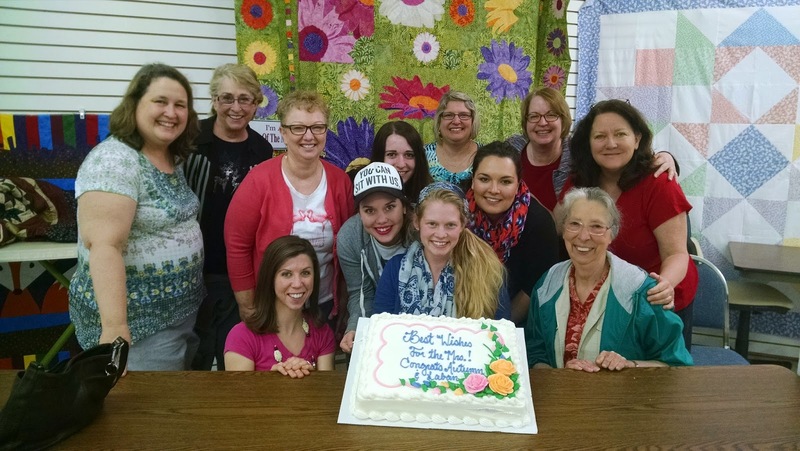 They have been a blessing to her. Autumn found a bee hive on our fence post. transport the bees to his home. It was interesting to watch how he got the bees in the box. When the queen bee and most of the bees were in the box the lid was placed on top. In about 30 minutes the rest of the bees were in the box. 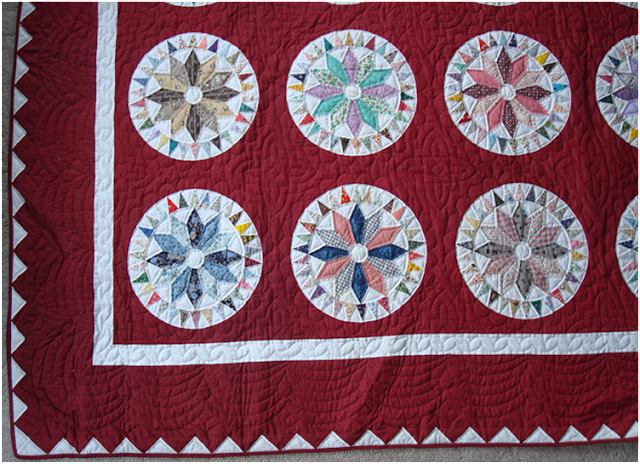 Beautiful wall hanging. I first looked at that and for whatever reason, it reminded me of square dancing in a circle with the 'caller' in the center. 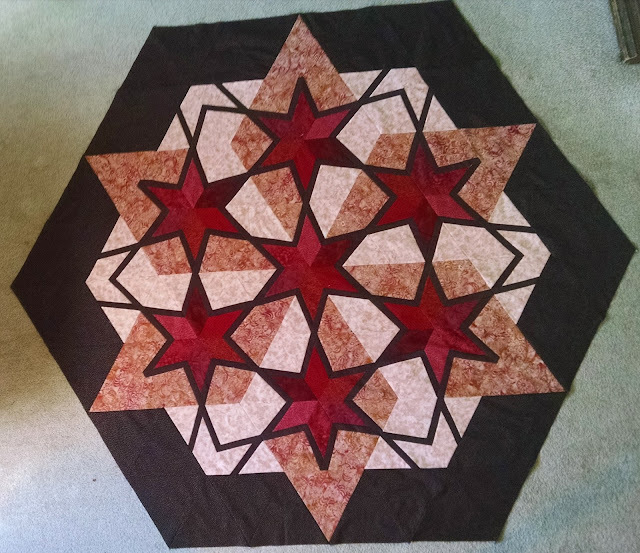 I then thought "Star Dancing" would be a good name for the wall hanging. Oh my! 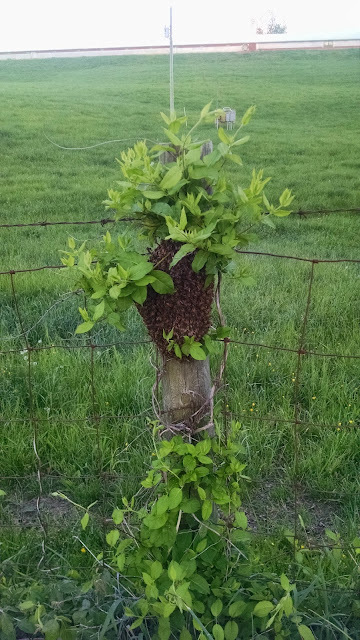 That is an impressive, yet VERY scary bee hive. ACK! That would have sent me running for sure. Just this past week, I had approx. a 2 inch long Bumble Bee in my kitchen window and I freaked out. He was on the INSIDE part of the window, not outside where it wouldn't have concerned me as much. Those big fuzzy, black and yellow Bumble Bees scare me quite alot because of a childhood attack I had from a group of them after falling onto their nest as those kind build their nests in the ground. I had a group of them sting me terribly and as a result, those kind for sure, but pretty much any kind of bee scares me. That one you had would probably have given me shivers and lots of tears as I ran the other way if I would have found it. Beautiful quilt, maybe Fractured? Wow!!! I just LOVE Surprise Package! Stunning! Such interesting pics of your NC and TN trip, family pics and the painting your mom did. :-) Glad you got a Bee Keeper to take care of those bees, scary as they can be, they are much needed in our world. 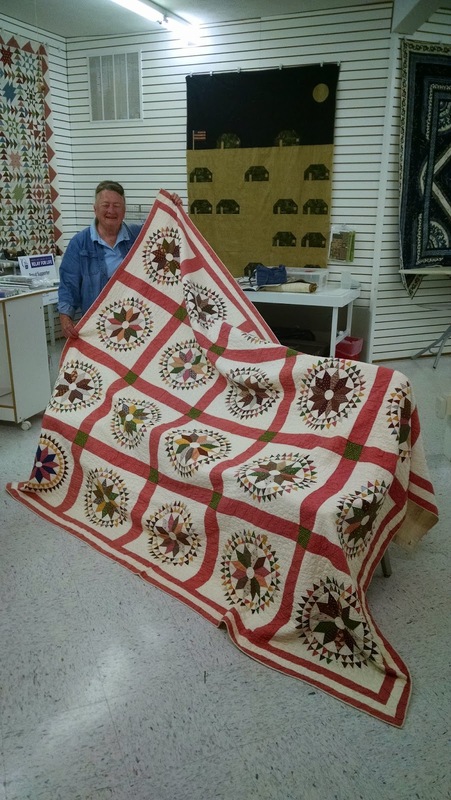 Love your barn quilt too btw! Oh and the triangle stars... awesome! Your wall hanging is beautiful. it reminds me of stained glass, a bit--maybe Star Light? I'll have to think on it for a bit. I also love the story about the bees--what a great experience! We are hoping to keep bees one day, but are starting with chickens :) Once our kiddos are a bit bigger (they are currently 5, almost 3, and almost born (he was due over a week ago, but seems comfy!)) 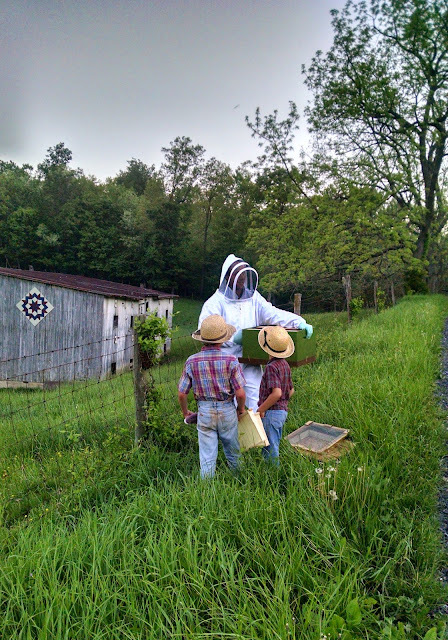 we hope to add bees to our homestead. Such amazing creatures!